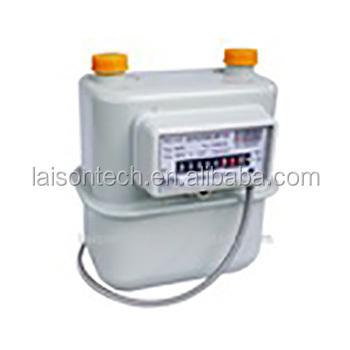 Pulse remote transmission Diaphragm Gas Meter combines traditional gas meter with intelligent meter reading system. It has quality precision of the traditional gas meter, and function of the operation management. It turns artificial meter reading into history. Non-contact remote transmission signal especially suit for distance concentration of automation meter reading system. This meter suits for measuring artificial coal gas, natural gas, liquefied petroleum gas, methane and other gases.